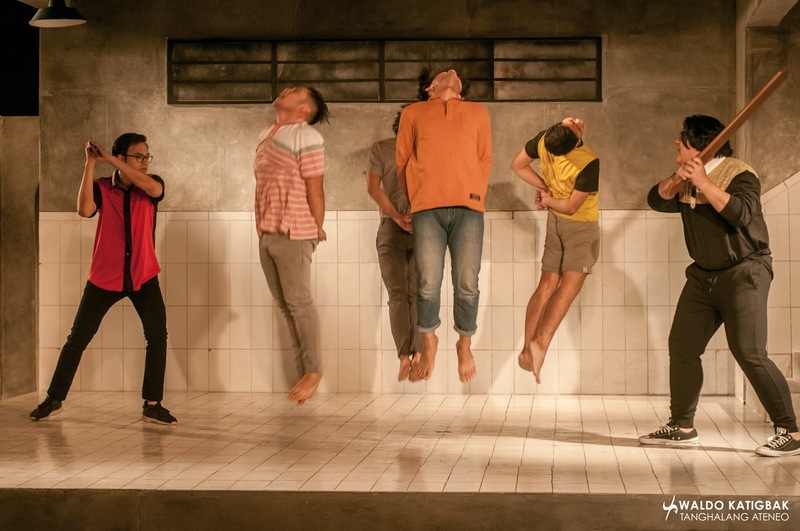 One of Philippines greatest film ever made is Batch 81 by Director Mike De Leon starring Mark Gil as Sid Lucero, the iconic character of Gil is now another name in showbiz thru his son who choose that screen name, we all know this movie made impact as it premiered in Cannes Film Festival as Director’s Fortnight in 1982. Fast forward today in 2019, Batch 81 made a debut in Rizal Mini Theater inside Ateneo De Manila Loyola Campus as Alpha Kappa Omega, the stage adaptation by Tanghalang Ateneo under the Direction of Guelan Varela-Luarca, it open last March 20. 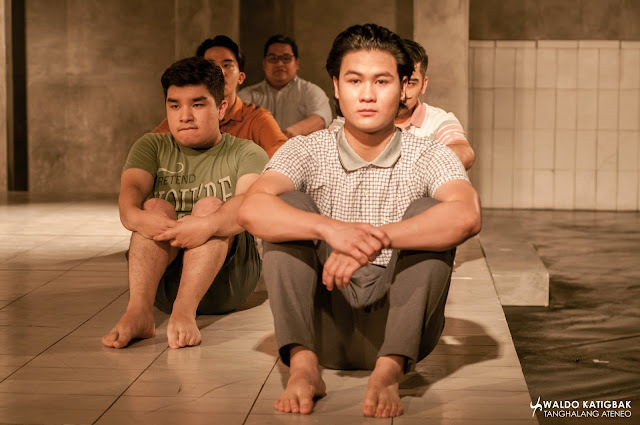 Same story with the movie, but it was set in the present where social media and technology rules along with pressing issues of the country, it all tell a story of 6 neophytes who want to join a fraternity, their hardships and survival in grueling initiation process until they became one of the masters as they called their senior brothers. The play during its opening showcase a lot of movements, doing scenes one after another and to the least, 5 scenes simultaneously alternating in one sequence that honestly is kinda tiring to watch but vigorously making you alert to what will happen next. 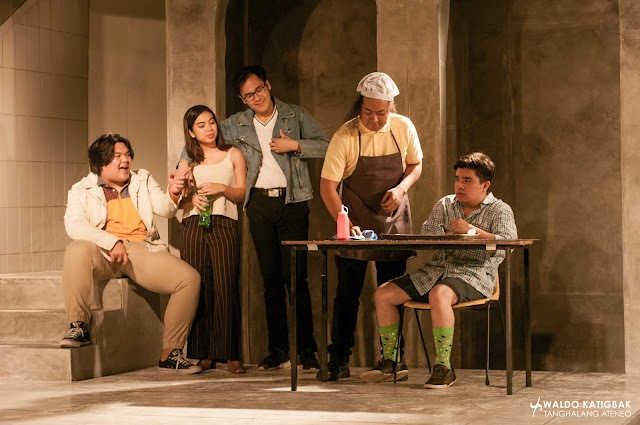 One thing we like about this adaptation is how they revolve the story on the six main characters, unlike in the movie that centered to Sid Lucero, this presentation gives faces to other neophytes who like Sid is also undergoing challenges as student and as lovers. Sid is portray by John Sanchez, a charmer on its own in the stage. 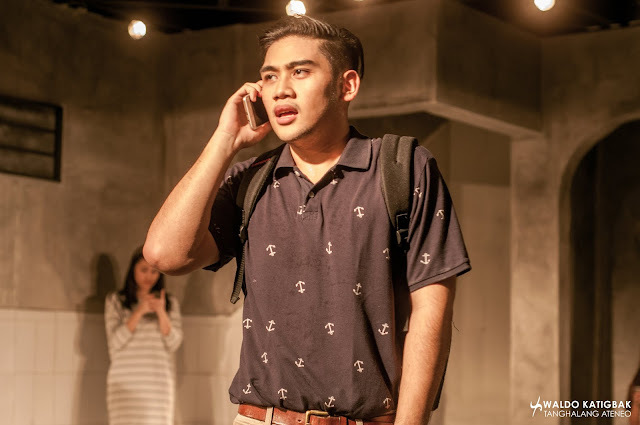 But the scene stealer of Alpha Kappa Omega is the girl playing Susan, her very short appearance create impact due to his delivery and timing for comedy, she is Francesca Lois Dela Cruz, who also a member of the costume team of the play. 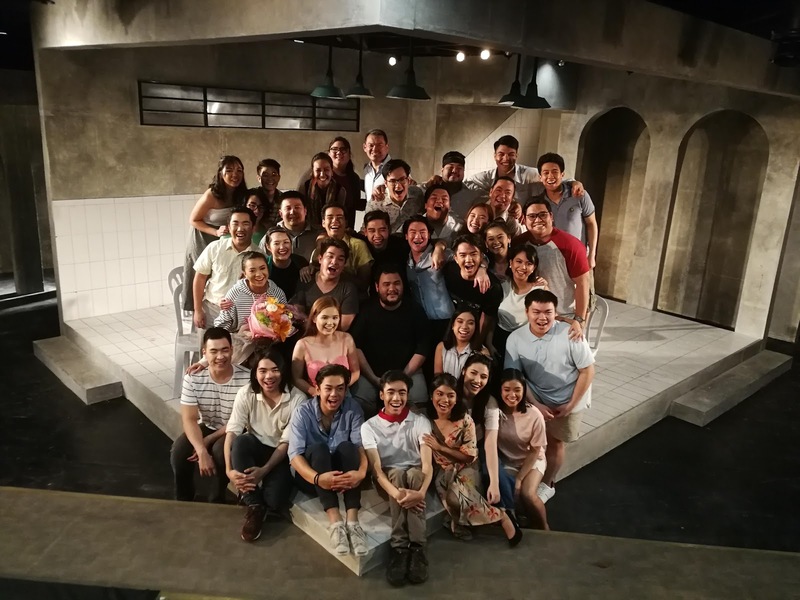 Other cast includes Earvin Estioco (formerly play Janus Silang in past TA play), Ron Capinding, Nico Nepomuceno, Ymo Escurel and Cholo Ledesma, Ram Catan, Soc Delos Reyes, Aric Matthew Mamonluk, Renzo Christian Guevara, Kyle Tan, Chrisse Joy Delos Santos, Maxine De Jesus, Alyssa Binay, Dani Capinding, Merryl Soriano and a lot more. 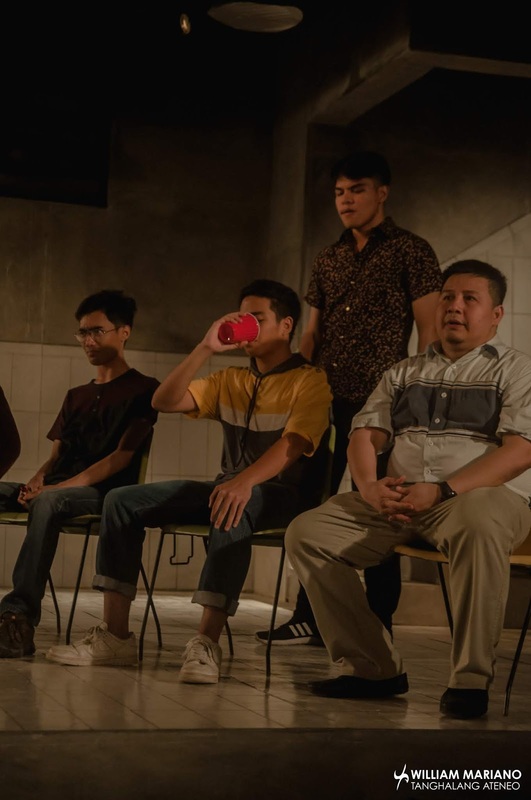 During the Question And answer portion after the matinee last March 23, Director Luarca discuss on how he got the blessings from Mike De Leon to making it alive once again in theater, his father is one of the neophytes in the said film and that’s where the connection started. 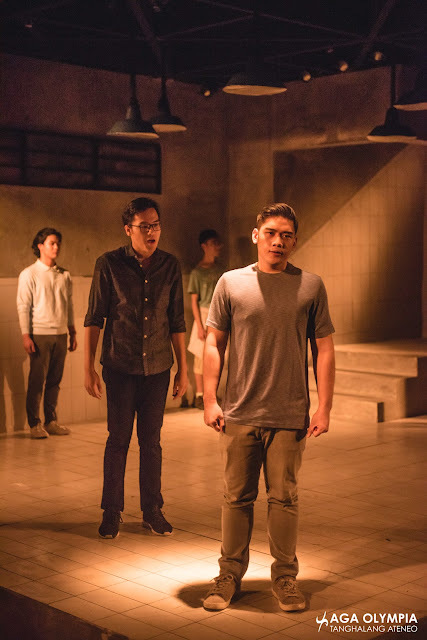 “It is dear to my heart because my father played the role of one of the neophytes, I grow up watching this film so this is a tribute and also a way to revitalize the social commentary, the critique that Mike De Leon express thru his film, and we hope that we touch that.” Says by Luarca. 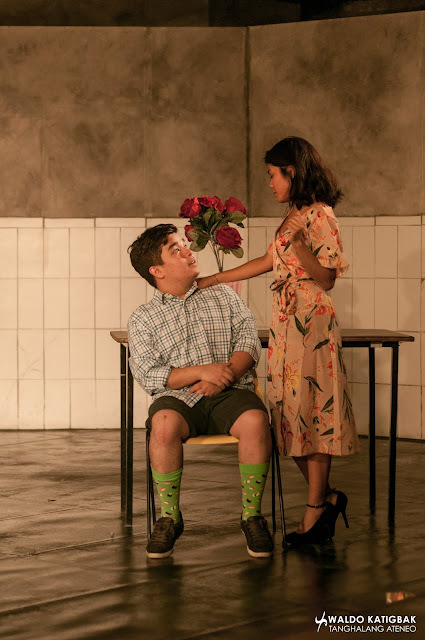 Creating Alpha Kappa Omega is a team effort according to Luarca, many of his wonderful cast help him building the lines for the play, some wrote their own dialogues and monologues for their character that help in great way according to Luarca. “Sana makapukaw sya ng mga kaisipan na malalim at mapanuri tungkol sa ating lipunan.” Luarca added. Playdates for AKO: Alpha Kappa Omega are March 20-23, 26-30, April 2, 6 and 9-13, 7:30 PM while Saturday shows start at 2:30pm at Ateneo De Manila’s Rizal Mini Theater at the University Faber Hall, they are open for show buying, bulk buying just contact Genny Taira Supit at 0917.115.0520.